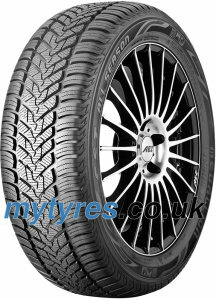 The Medallion All Season tyres are well suited to meet the demands of all four seasons. Their modern v-profile layout coupled with their micro-sipe design makes them perfectly suited for winter. 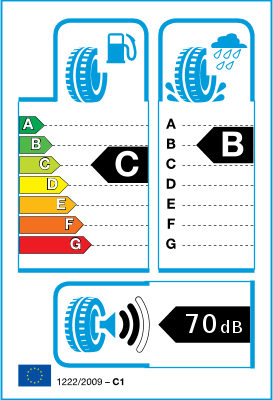 This unique tread feature also ensures that the tyres have optimum contact with the road in snowy and icy conditions. The two large linear grooves in the tread help to ensure that the water drainage on the tyre profile is good. This is essential for ensuring safe driving in all kinds of summer weather, in particular rain. Their high wet grip performance is attributed to the advanced silica tread compound, which also helps to significantly improve the tyre’s rolling resistance values. This also means that the individual demands of a wide range of vehicles are met; from small and compact cars right through to top of the line models. *Prices include VAT and delivery within mainland UK (excl. special areas).